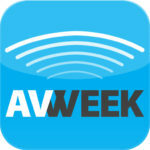 AVNation is the home to some of the best podcasts in the Audio Visual industry. Should live events companies do creative services themselves or hire them out? The state of education in the audiovisual industry. How holograms could enhance museum and other permanent installations. Where the direct view LED market currently stands. The best approach to monitoring audiovisual networks. How agencies approach live staging and event production. Firmware. Firmware everywhere in AV. Best practices for dealing with Firmware. 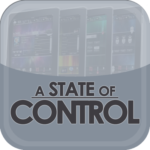 A State of Control 42. New Vanco president. First Valet installation. Continued issues for Thiel Audio. Creating exceptional experiences for the big game. Voice control versus touch panel control in AV systems. ResiWeek 103: ADT had a less than ideal initial public offering (IPO) for their stock. Matt Scott, Rich Fregosa, and Tim Albright discuss what a lackluster IPO could mean for the future success of the company. Live staging and drones. North Americans going to ISE. When/If lasers will overtake lamp-based projectors. How much of an #IoT show CES has turned into.